LG has announced that their latest Android smartphone, the LG Optimus 4X HD is now available in Europe, the handset will go on sale in Germany first and will then be made available in the Netherlands, Sweden, the UK and Italy. 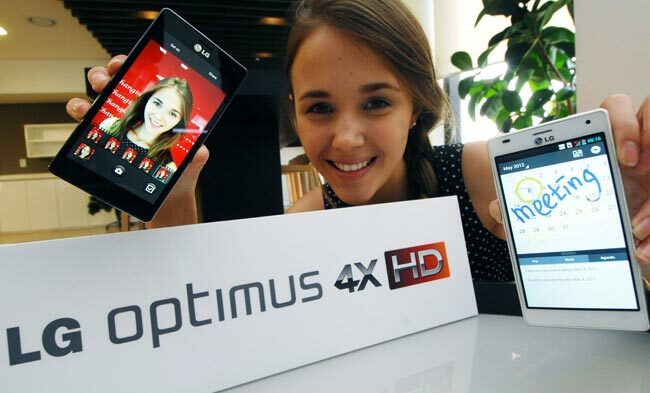 LG have also said that the Optimus 4X HD will also be made available in Asia, CIS and South and Central America within the next few months, although no specific launch dates have been given. The LG Optimus 4X HD features a quad core 1.5GHz NVIDIA Tegra 3 processor, and it features a 4.7 inch IPS multi-touch HD touchscreen display with a resolution of 1280 x 720 pixels. Other specifications in the LG Optimus 4X HD include Android 4.0 Ice Cream Sandwich and it features 1GB of RAM and 16GB of build in storage, there is also a 2,150mAh battery and it comes with DLNA and MHL. The LG Optimus 4X HD comes with dual cameras, up front there is a 1.3 megapixel camera for video chat, on the back there is an 8 megapixel camera for photos and video, and it can record full HD video in 1080p.